Once you join in a rented house, it is important to prepare the rental agreement. Usually this will be done in two rupees stamp paper or e-stamp paper. Here i am giving one sample rental agreement for your reference. There will be many different formats but this is one i have. For your convenience, I highlighted text in yellow color where most of the modifications will happen. So modify the document accordingly. 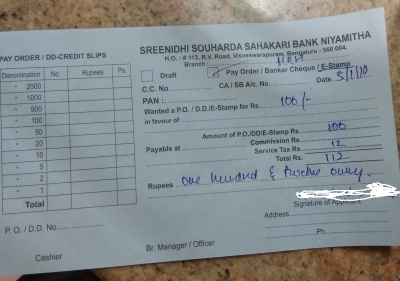 This Format is better adjusted to two rupees stamp paper. 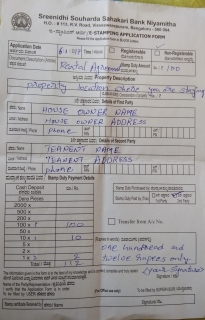 CLICK HER to download Sample Rental Agreement for two rupees stamp paper format. If you are looking for other rental agreement matter then you can download below attachment. This works good for e-stamping format. You can get e-stamping paper in e stamping centers available across the country. Most of the center are post offices, banks and co-operative banks.